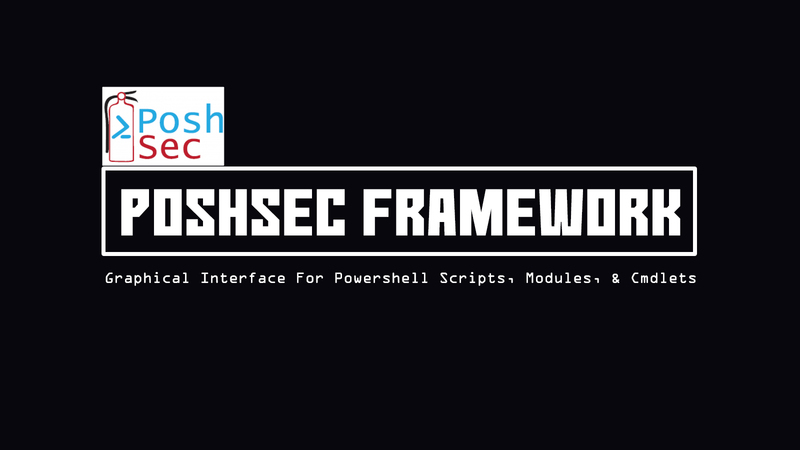 The PoshSec Framework (or PSF) is a graphical front end utility for running PowerShell scripts, modules, and cmdlets. The PSF exposes parts of it's interface to PowerShell within the individualized PSessions. Each script or command that is executed is executed in a separate thread which allows you to run multiple scripts simultaneously. It is designed to work with PowerShell 3.0 and works with PowerShell 2.0. 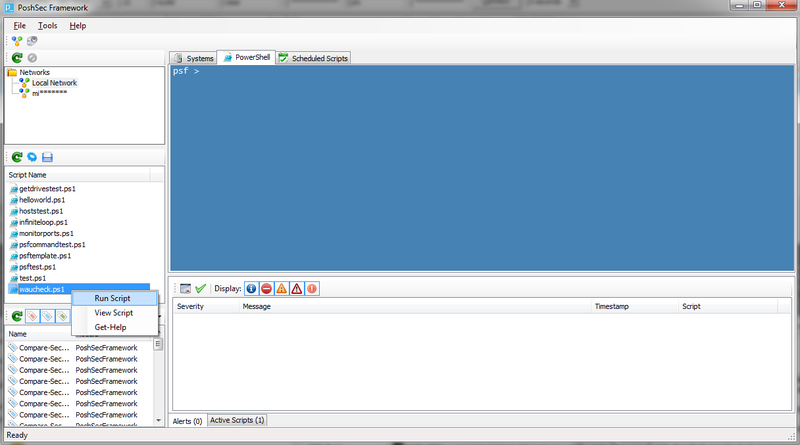 While PSF will work with earlier versions of PowerShell, PSF requires .NET 4.5 which comes standard with PowerShell 3.0.